I am excited to share a preview to this awesome opportunity. One of my favorite bloggers Samantha from Crafty Texas Girls recently took a huge rush and turned her passion for crafting into a business. 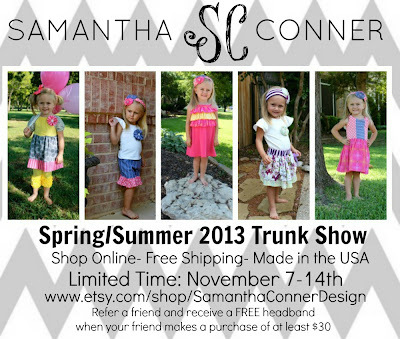 She recently launched a boutique line of girls clothing, Samantha Conner Designs. The clothing is usually only available to wholesale buyers during Market. offering 5 select styles to be bought by the public for one week only. 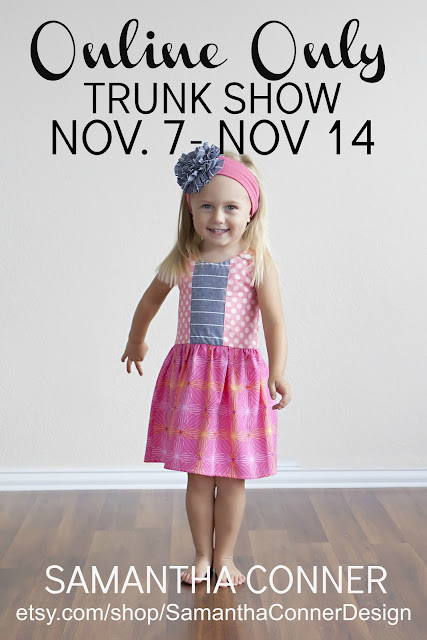 The sale will run Nov 7-14th. 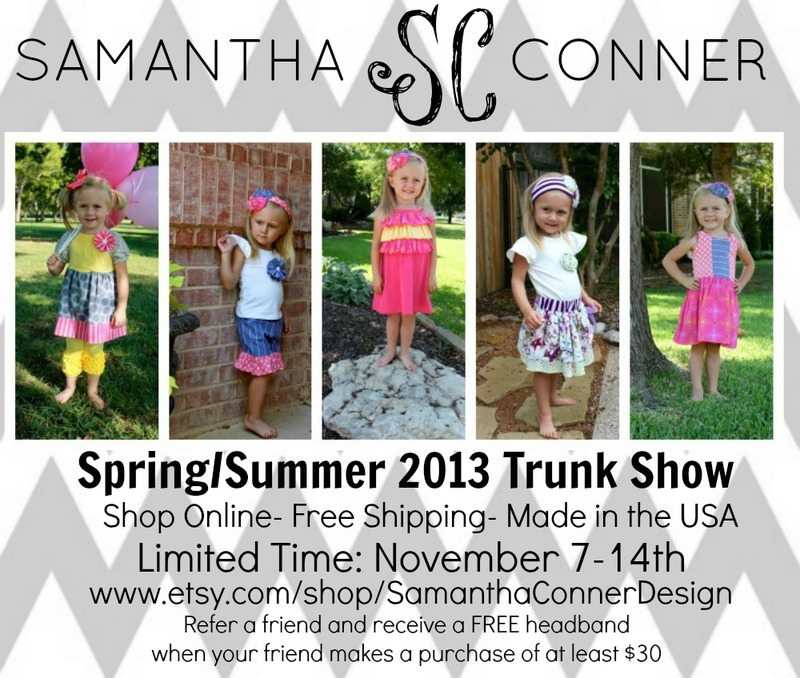 Be sure to check out her online shop http://www.etsy.com/shop/SamanthaConnerDesign tomorrow!